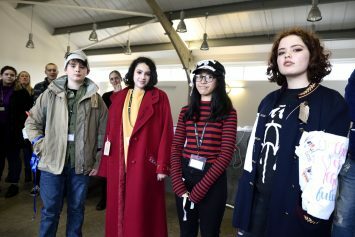 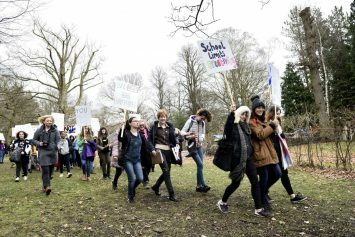 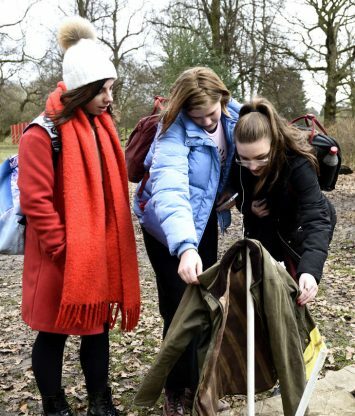 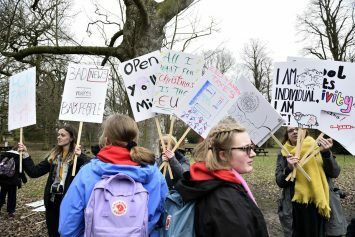 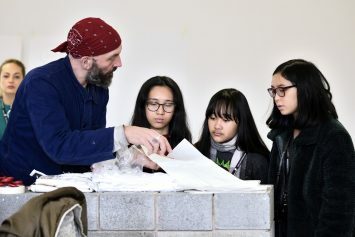 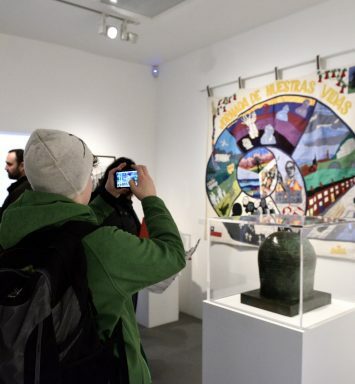 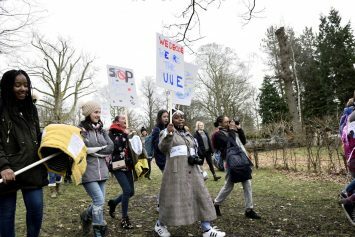 The Clubs at Manchester School of Art, the University of Leeds and Nottingham Trent University enjoyed a series of Masterclasses about protest art at the Yorkshire Sculpture Park. 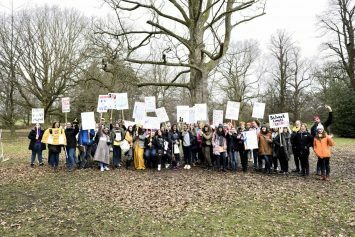 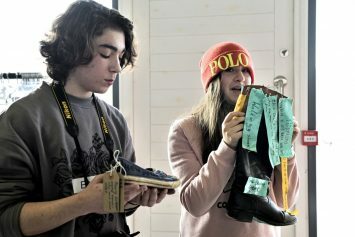 The sessions began with a visit from Natalie Walton of the Arts Council Collection, who described the collection and challenged the young people to make protest placards on a subject they felt strongly about. 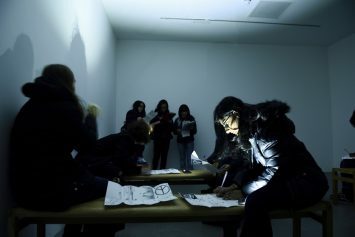 For the second session, members visited Yorkshire Sculpture Park (YSP), where they toured two exhibitions, Revolt & Revolutions and Alfredo Jaar: The Garden of Good and Evil. 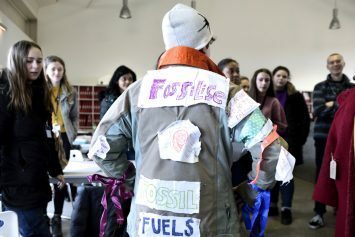 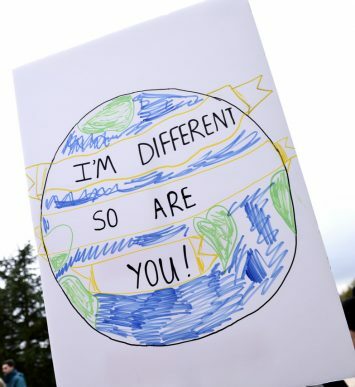 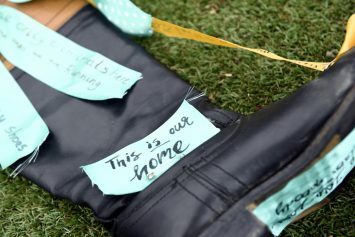 They also took part in a workshop in which they customised protest clothes with artist Andrew Walker, then got into the revolutionary spirit and held a mass “protest” rally in the park. 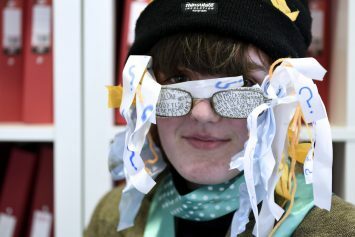 In their final week, they returned to YSP, where they explored the exhibition In My Shoes: Art and the Self Since the 1990s, and considered how artists have represented themselves in their work, and how to curate and present artworks.